Most visitors to Cambodia will focus their stay in the capital city of Phnom Penh and in Siem Reap as a base to visit the famous Angkor Wat. We visited Cambodia in early April during the Khmer New Year when all Cambodians were rushing to leave the capital and return to their home towns. 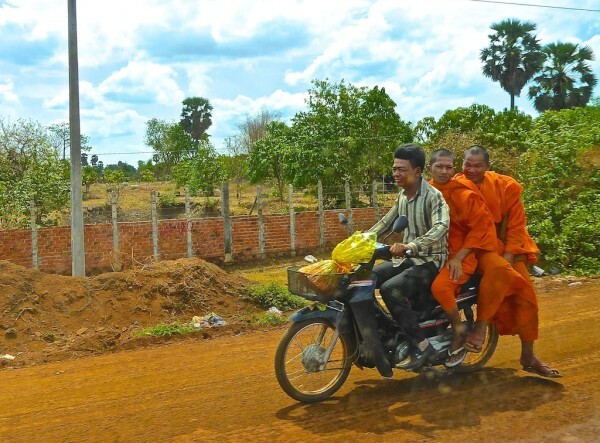 Here are the various options we discovered for travelling from Phnom Penh to Siem Reap. 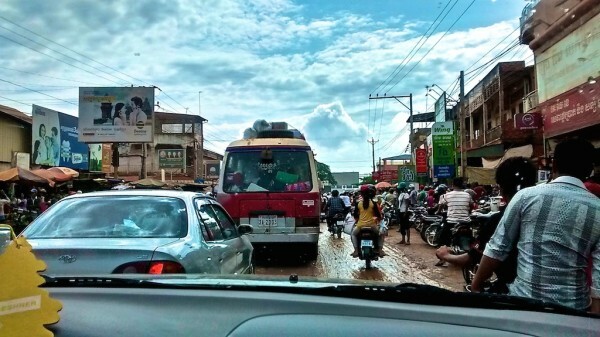 The bus is probably the cheapest way to travel in Cambodia. However, finding a good, reliable company is not easy. Most private vans will have crazy drivers, so because of this we do not recommend them. The road between Phnom penh and Siem reap is still being built and is not a smooth rode, so with a careless driver, this is dangerous. We found the Mekong Express and Giant Ibis to be reliable companies. They usually have larger (and newer) buses and more sane drivers. Tickets from Phnom Penh to Siem Reap will sell at around £10 / $15. Buses are comfortable and have air-con (whether you choose Giant ibis or Mekong Express). Tickets are easy to book online and pick up from your hotel can be arranged. Giant Ibis is newer and has better online reviews. 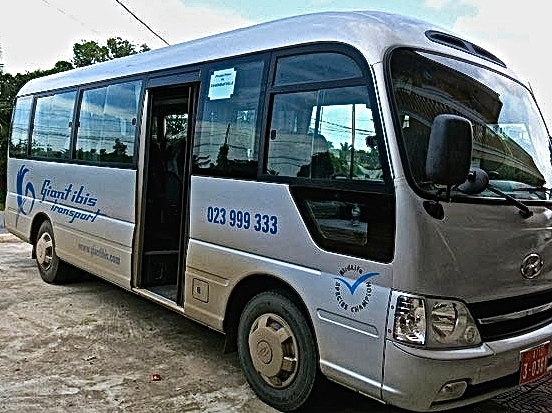 We used them to return to Phnom Penh from Siem Reap and they were professional, quick and have WIFI and air conditioning. The journey takes around 5-7 hours taking into account traffic. This will decrease a lot once the new road is completed. There are several stops for toilet breaks and one for lunch. There are over night options available, but after reading how dangerous these are, we decided to travel by day only. The larger public buses are around £3 / $5 cheaper, but are slower and not as comfortable. We visited Cambodia during the busy Khmer New Year period in mid April. This was a very busy time because everyone was rushing to leave the capital city to return to their home time for the holiday. As a result the Giant Ibis tickets were sold out. We were a group of 4 and were able to justify splitting the cost of a taxi to take us there which was £90 / $140 (so £23 / $35 per person). Outside of this busy holiday season, you should be able to book a taxi for around £45 / $70. Cambodian Airlines flies several times each way, taking 45 minutes. It's not the cheapest for budget travellers (around £80 / $125), but good for those limited with time. You can read more about our experiences discovering food in Cambodia and watch our Cambodia travel video. I’m Cottnie from the Philippines. Ever since I started traveling, I always go solo. I also do a lot of research before I go on a trip. This time I’m somehow confused. 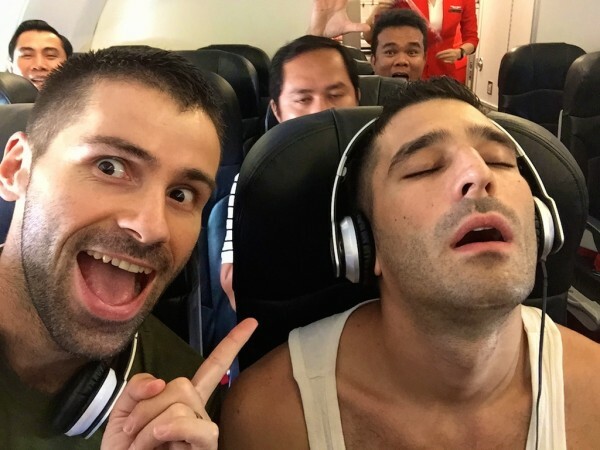 I am hoping you could share some recommendations on things I should do in Cambodia and Vietnam. I booked a one way ticket to Ho Chi Minh on the 21st of October and the arrival is late at night. Since I made a room reservation at a hotel in the city, I am planning to just take a cab or Grab/Uber if they have. I have 4 days to spend in the city before I go to Cambodia on the 25th. I have planned to stay 5 days in Siem Reap (or maybe stay a night in PP) before I go to Malaysia on the 29th. thank you bro for your new informations..
i compare the flight ticket of september with Khmers new year and its 4 time cheaper! so i think its better to choose other months for Cambodia.